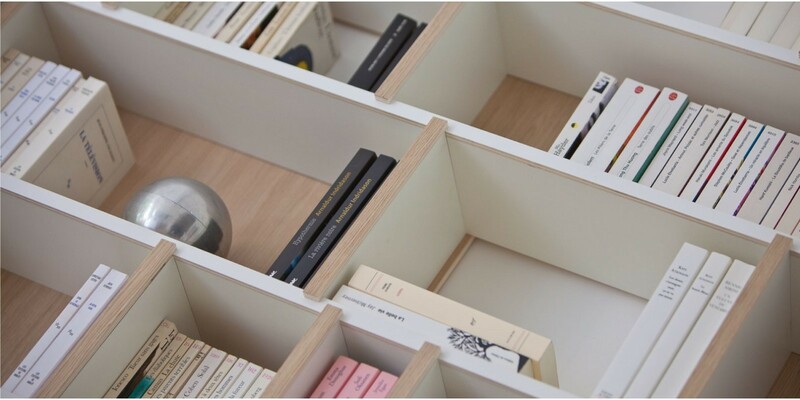 The Perfect Bookshelf is the tailor-made natural wood bookcase that can be adapted to your wishes. An intelligent and personalized solution that will enhance your interior. 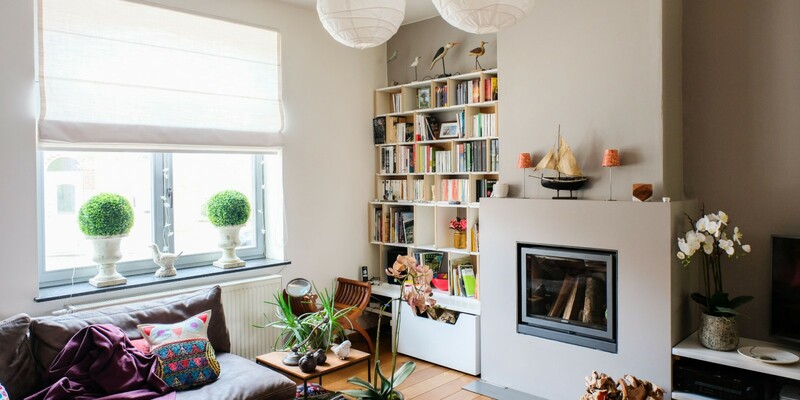 Between two walls, around a fireplace, under a staircase, in your living room... or simply wherever you like. You are the one who will create the piece of furniture that matches your wishes and needs. No nails, screws or glue: the elements are interlocking. Do you want to move your furniture? Assembly and disassembly is intuitive and only takes a few minutes. Our furniture can be adapted to your space, even under the roof or stairs. 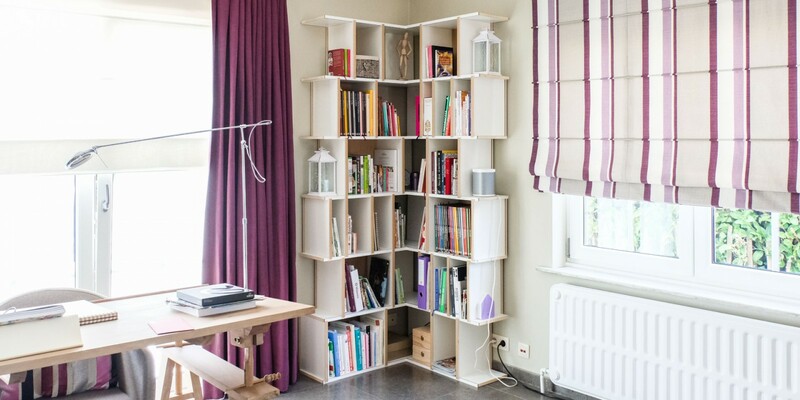 In the bedroom, in your living room, our bookcases can be easily fitted anywhere. 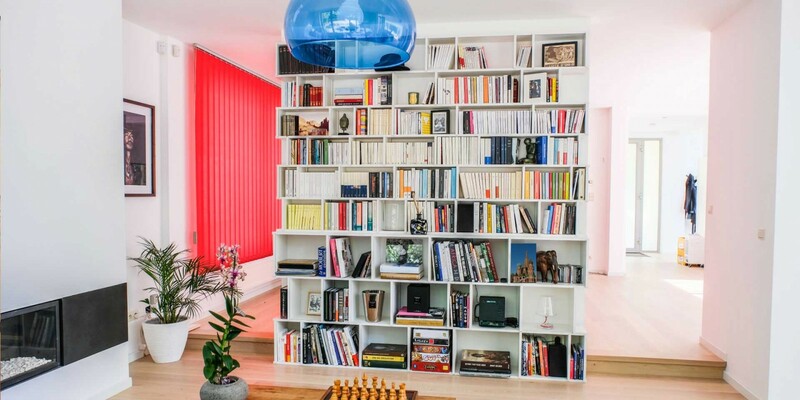 Our wooden bookcases come in all shapes and sizes. 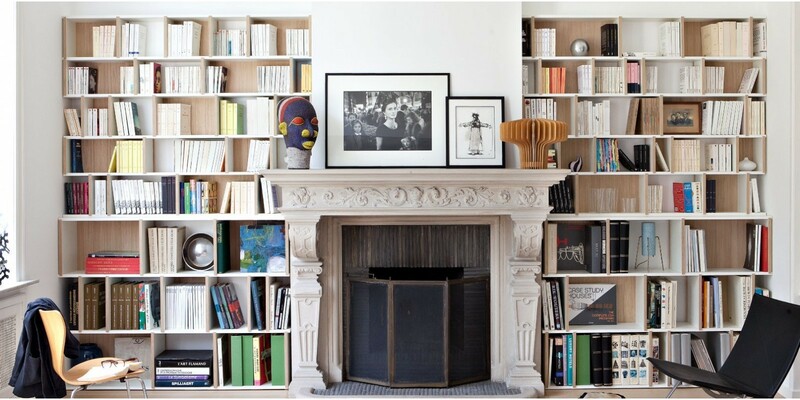 Our bookcases are custom-made and can therefore easily be installed beside a fireplace. Learn more about our materials and our five 100% wood finishes. Our different models are adapted to files, binders or LPs. Use our online 3D tool to configure your custom furniture in an instant.